Here at ILiveInEastVan.com we love featuring local East Van businesses and makers. Today we’d like to introduce you to Marsh&Mallow which is the brain child of Carly Bloch. 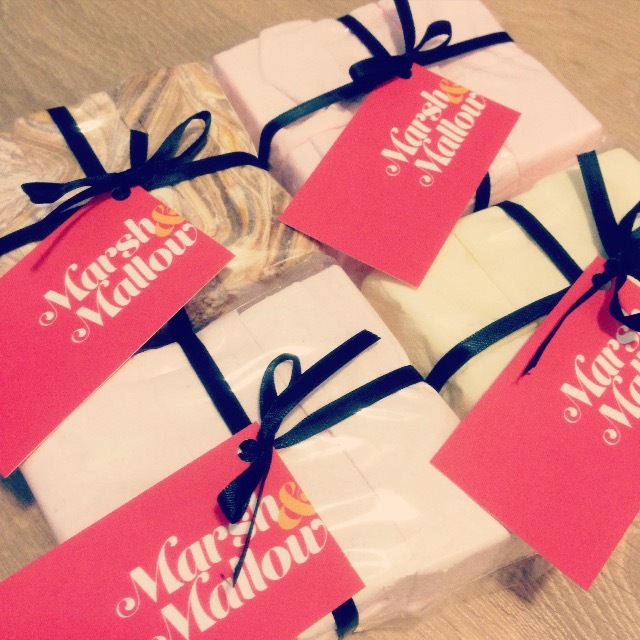 As the name eludes, Marsh&Mallow makes handmade gourmet marshallows in some amazing decadent flavours. Added bonus is that they are gluten free. 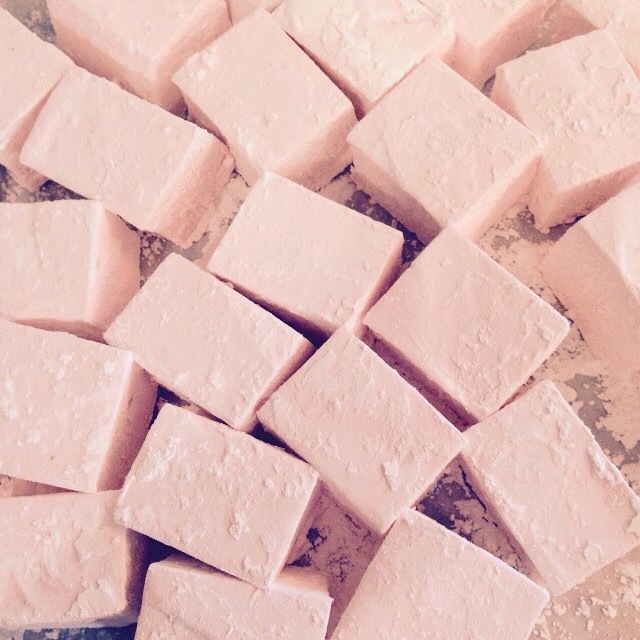 Carly admits her first attempt at making handmade marshmallows “was an epic fail”. Through trial and error though she has truly mastered the process. Carly has a career in finance, but needed a creative outlet and loved creating sweet treats and has turned Marsh&Mallow into a successful side business. We hear the special orders are flying in. And for those itching to place their order, you can purchase Marsh&Mallow through her online store which sets out all the delicious flavours. You will also find her marshmallows in gift baskets being offered by local businesses such as Wantful Gifts and By Broken Arrow. Carly is working on some retail distribution locations and you will soon see her marshmallows in Much & Little on Main Street. But Carly is sticking with her core values which is producing small batches which allows her continue to source products and locally whenever possible. If you are wondering what her most popular flavour is. We hear it’s her Signature Salted Caramel marshmallow. Carly says “Each batch starts with classic vanilla marshmallows, then salted caramel sauce is swirled right in. The salted caramel sauce is made in house and is the perfect balance of dark and sultry caramelized sugar which is transformed into creamy rich caramel, finished with pink Himalayan sea salt.” That said, this is one of her best sellers along with Raspberry and Classic Baileys and Cream. 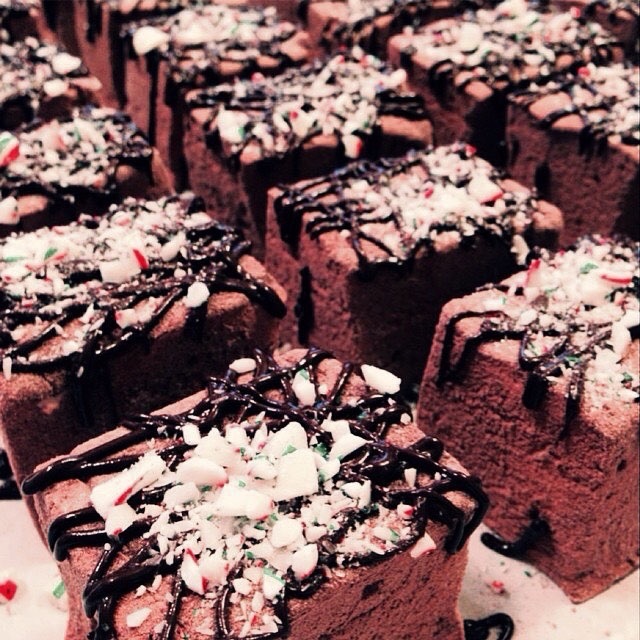 For a limited time during the holiday season, you can order Holiday Mint Chocolate which is a “squishy cool mint marshmallows coated in premium cocoa powder are drizzled with dark chocolate ganache and crushed candy cane.” Sounds like a piece of heaven to us. Prices start at $15.00 per bag for 6 large marshmallows. Personally, we think these would a unique hostess gift this holiday season. We’re just saying. We invite you to check out her online store at Marsh&Mallow. You will also find Carly’s delicious offerings at this year’s Baker’s Market at the Moberly Arts & Cultural Centre in SE Vancouver on Sunday, December 6th and 13th from 11:00 am to 3:00 pm. We sure to stop by and say hi and try a sample.